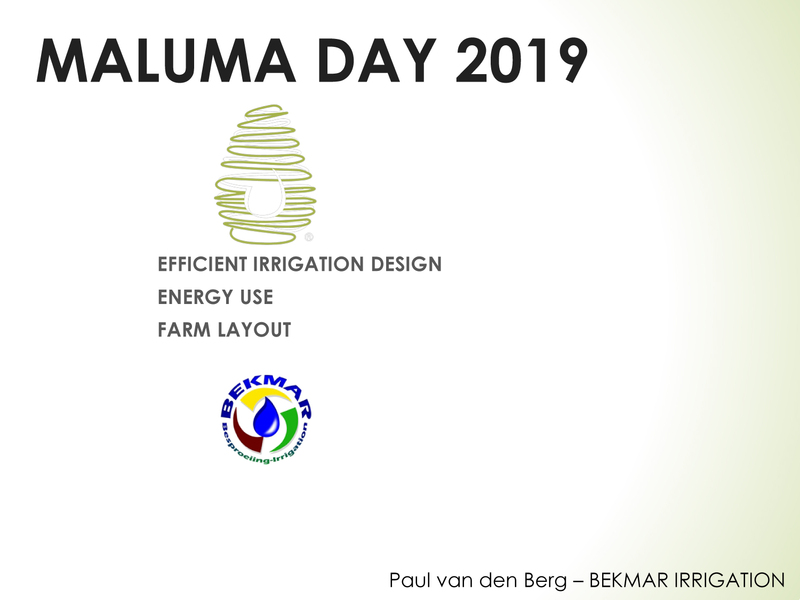 Presentation topic: A CASE STUDY OF EFFECTIVE IRRIGATION DESIGN, ORCHARD LAYOUT AND ENERGY USAGE. Location: Maluma symposium 2019 – Merensky High School. Presenter(s): Paul van den Berg – Main sponsor: Bekmar.